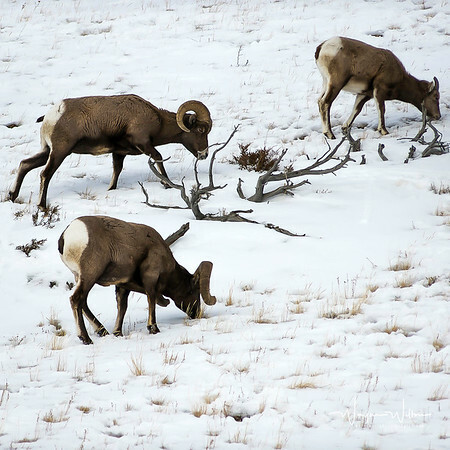 Yellowstone Bighorn Sheep (ovis canadensis) is native to North America. They are known for their horns which can weigh up to 30 lbs. Horns are a symbol of status and are used as dweapons.